This time of year, I often find myself growing a touch tired of the light, “fun” wines of the season. And while I’ll be the first to admit that less-demanding bottles are more appropriate for the days when all we really want is refreshment, there comes a time when a more serious, complex wine is called for. 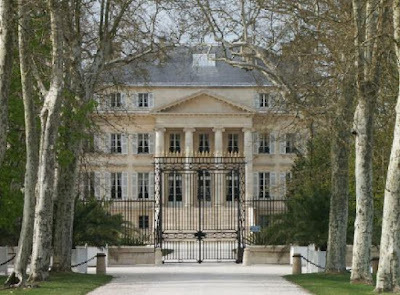 The Wall Street Journal recently ran a piece on the wines of Margaux (both the appellation and the famous Chateau), and it seems as if this is a perfect time to give them renewed consideration. After all, these wines are often overlooked this time of year, when in reality they’d be supremely well-appreciated right about now: The change they offer from the past several months’ routine is desperately needed these dog days. In other words, they’re exactly the sort of Bordeaux that we all should be drinking and loving in the heat. And despite all the drama over the 2009s and their prices, there are still plenty of great wines from other vintages that are both available, affordable, and drinking beautifully right now. This is not to say that fruit-forward, bright and juicy wines aren’t charming in the middle of August; they most certainly are. But sometimes, you just need a bit of Bordeaux in your life. And right now, Margaux seems to fit that bill perfectly.